Mahendra Singh Dhoni, one of the greatest cricketers from India did not really have a huge interest in cricket from his childhood. Dhoni initially played badminton and football, at the district and club level. It was while he was playing football as a goal keeper, he was selected by his coach to play as a wicket-keeper in the local cricket club. As he started wicket-keeping regularly for the local club, he honed his cricketing skills and was regularly selected in club cricket. Dhoni hails from a lower-middle class family and his father Pan Singh was employed at the junior level at MECON. Hence to support himself and his family, Dhoni took up the job of a train ticket examiner or TTE in the Indian Railways. Dhoni worked as a Railways Ticket Examiner during the years 2000 to 2003 and was selected for the Indian Cricket Team in the year 2004. 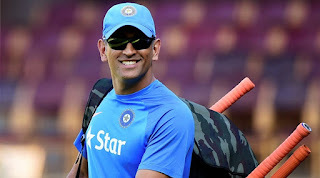 Today Mahendra Singh Dhoni is the captain of Indian Cricket Team in all three forms of the game, and his records are the best among all Indian captains to date.